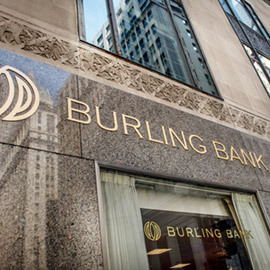 Burling Bank is uniquely qualified to service the exchange community and has been providing superior, individualized service to this industry since the day we opened for business. Along with our exceptional client service and general banking products, we offer several specific financial products for the benefit of the trading community listed below. We look forward to partnering with you and working together toward achieving your business goals.